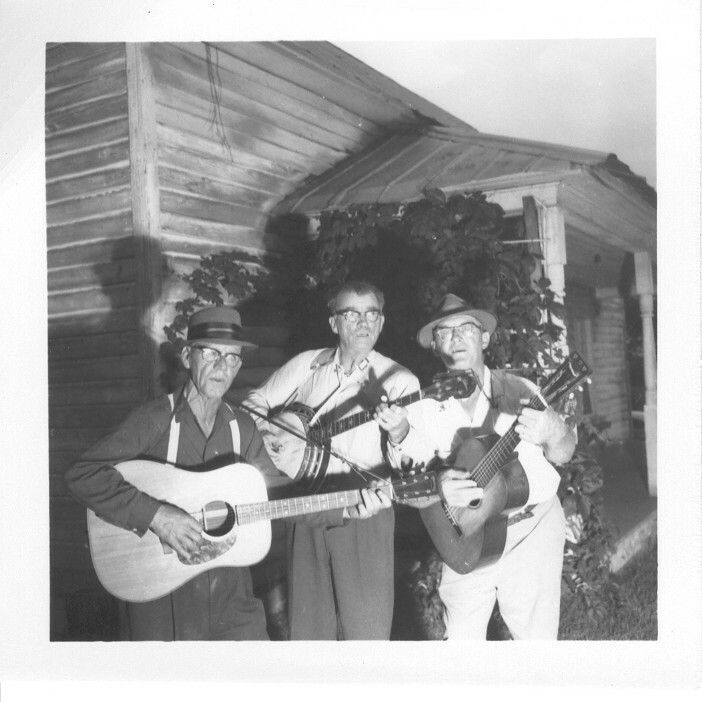 After Cajun music, the Anthology goes on to another joyful and lively genre born in the South, Jug band music. It combines diverse elements of african-american music like Country Blues, Minstrel show songs, Ragtime and Early Jazz, can be played on various stringed instruments, harmonica, kazoo, home-made percussive instruments like the spoons and the washboard, and of course the jug. 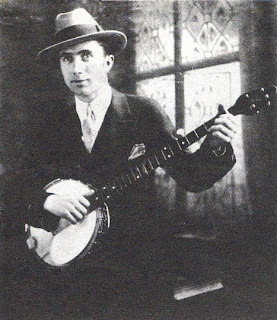 To give you a taste of this great music and see jug blowers in action, here’s an absolutely wonderful footage of Whistler’s Jug Band shot in 1930. 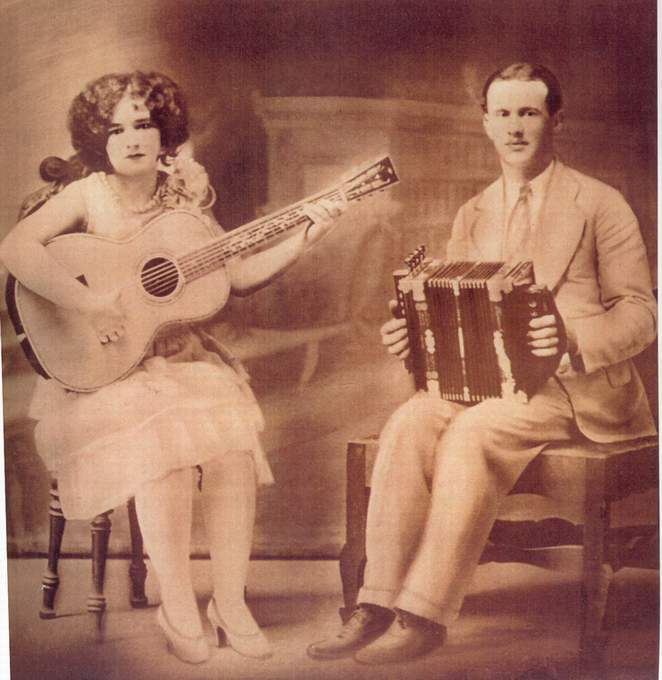 Bands like the Memphis Jug Band and Cannon’s Jug Stompers (both featured in the Anthology) were very popular in the South and recorded many sides in the 1920’s and 1930’s and many other Southern Jug Bands were recorded during that time. 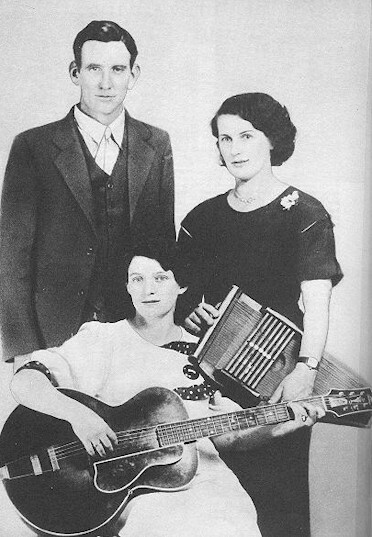 The genre, now played mostly by white musicians, had its revival at the end of the 1950’s and throughout the 1960’s mixed with the Folk Revival, first as skiffle music in England, and in the U.S with bands like Jim Kweskin and The Jug Band and The Even Dozen Jug Band. 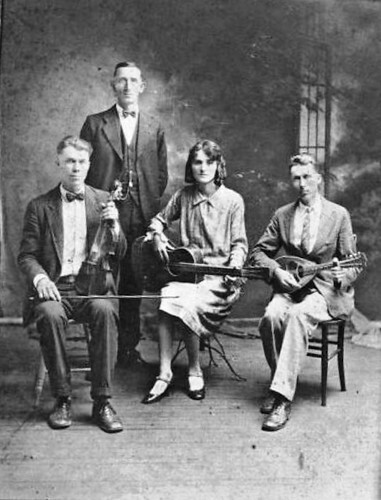 Nowadays, bands like The Carolina Chocolate Drops, The Jake Leg Stompers or The East River String Band includes Jug band music along with their Old-Time and Country Blues repertoire. 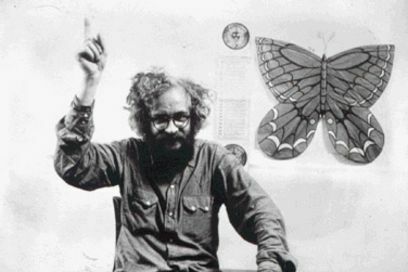 Henry Vestine of Canned Heat wrote that The Cincinnati Jug Band was “the only country-oriented jug band recording known by a non-southern based group”. 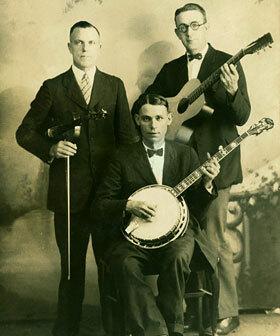 The band recorded only a few sides in the beginning of 1929 and was composed of two brothers, Walter and Bob Coleman, helped by their multi-instrumentist (guitar, harmonica and the stovepipe) street musician friend Stovepipe No.1. 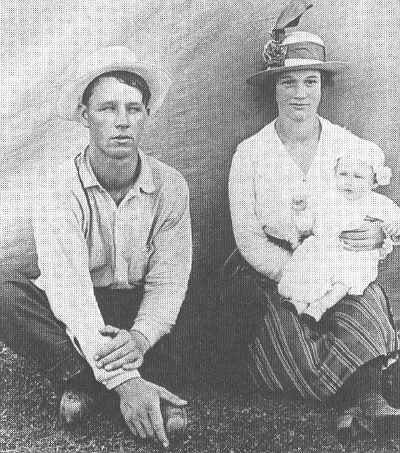 Their “Newport Blues” was named after the town of Newport, Kentucky, just across the Ohio River. 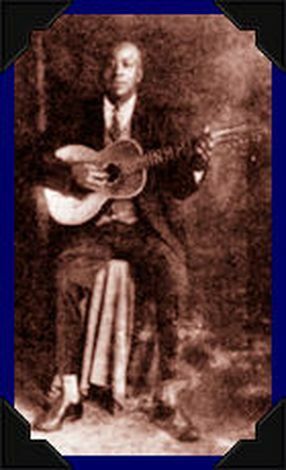 Cincinnati Blues musicians would often go to Newport, “known for being wide open in terms of gambling, vice and bootlegging”, to play for the local mob. 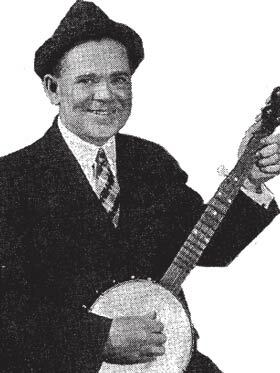 Earlier in 1928, before the Cincinnati Jug Band recorded for Paramount, a Cincinnati Blues guitar player and singer, nicknamed Kid Cole for the session, recorded 4 sides for Vocalion. 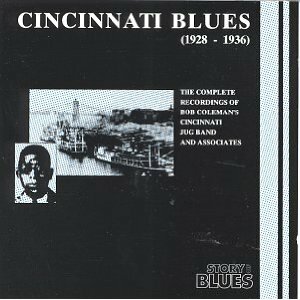 In his book about the early Cincinnati Blues scene (“Going to Cincinnati: A History of the Blues in the Queen City”, the main source for my informations here), Steven C. Tracy discuss the fact that Kid Cole was probably Bob Coleman, of The Cincinnati Jug Band. 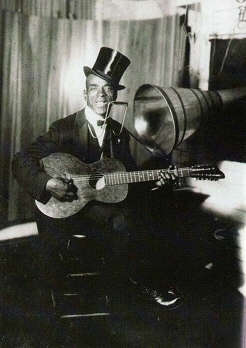 On “Sixth Street Moan”, Cole/Coleman is accompanied on harmonica by Stovepipe No 1, the Cincinnati street musician who played also on “Newport Blues”. 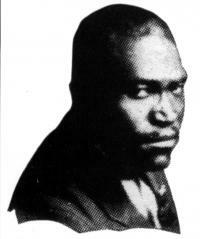 Kid Cole was a good singer with a very particular phrasing and a solid guitar player. 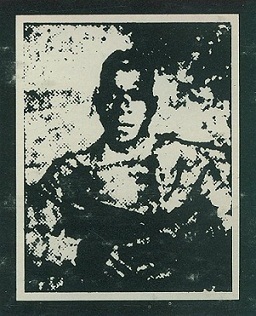 The lyrics of his Blues mixed typical phrases with his own original images. 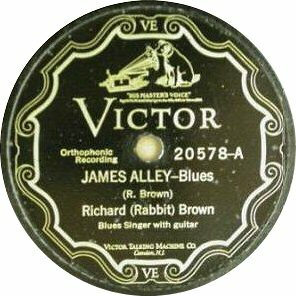 Back to January 1929 and The Cincinnati Jug Band…The other track issued with “Newport Blues” was another instrumental piece called “George Street Stomp”. 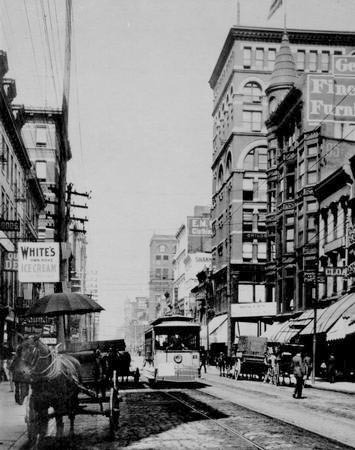 George Street was the “hot” street of Cincinnati at the beginning of the 20th century and many black musicians entertained in the many “sporting houses” of this “red light district” (named after the red lights in front of the brothels). After the first World War, the street started to be “cleaned up” and slowly new constructions changed the face as well as the spirit of the place. 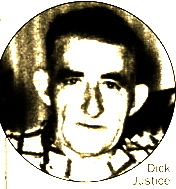 The Cincinnati Jug Band recorded also two vocal numbers, with Bob Coleman doing the singing. 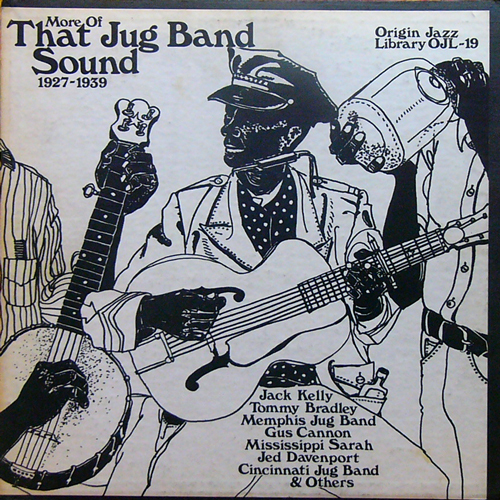 “Tear it down” is a jug band classic, recorded by King David’s Jug Band and The Memphis Jug Band (and this is the song that Whistler’s Jug Band played on the footage seen above). A few years after these recordings,in 1936, Walter Coleman (Bob Coleman’s brother) entered the studio again, and recorded a few sides for RCA. 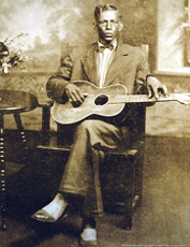 Among them, the first recording of “Mama let me lay it on you”, a song that Blind Boy Fuller, Reverend Gary Davis, Eric Von Schmidt and Bob Dylan (under the title “Baby let me follow you down”) would perform as well. There’s two available takes of Walter Coleman’s version,one with two guitars and the other with piano and jug. I found this Web Page by chance, & am Enthralled! I had finally obtained the Entire Weird Harry set (BT) and carry my music on Memory Sticks. 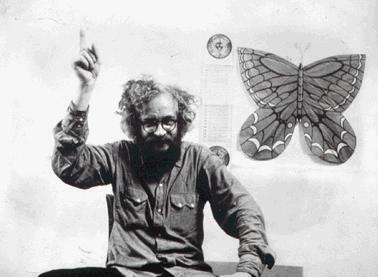 I am a 60 year old Guitarist, and was :Kidnapped: away from Classical Violin in 1962 (At Baylor University, Waco, Texas) by Pete Seeger, Woody Guthrie, Bob Dylan and other scruffy types. The VIOLIN was traded in for a Gibson ES 330 in 1965. 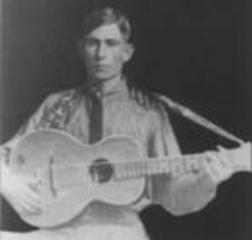 I still prefer Arch Tops, but my Heart was Stolen at 8 or 9 years of age (1958) by MOTHER Maybelle Carter’s ‘Wildwood Flower’!!! On the Big 1570, X E R F, Del Rio, Texas! It takes a lot of dedication to research and find all these wonderful clips. I hope your talent never gets lost. what more can I type to you. Well Done. Thank you for all this. You’ve added greatly to my musical education.